You bring the party, we’ll take care of the rest! 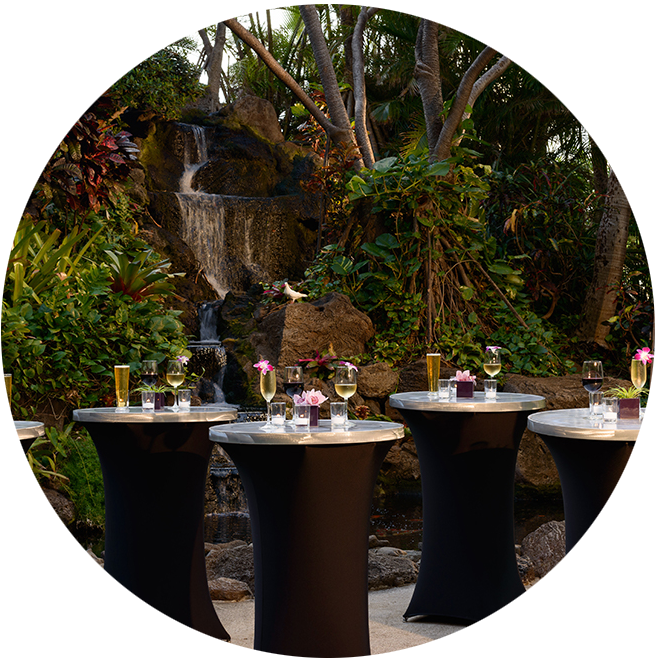 Hilton Waikiki Beach is Waikiki’s go-to venue for celebrating all of life’s special milestones. 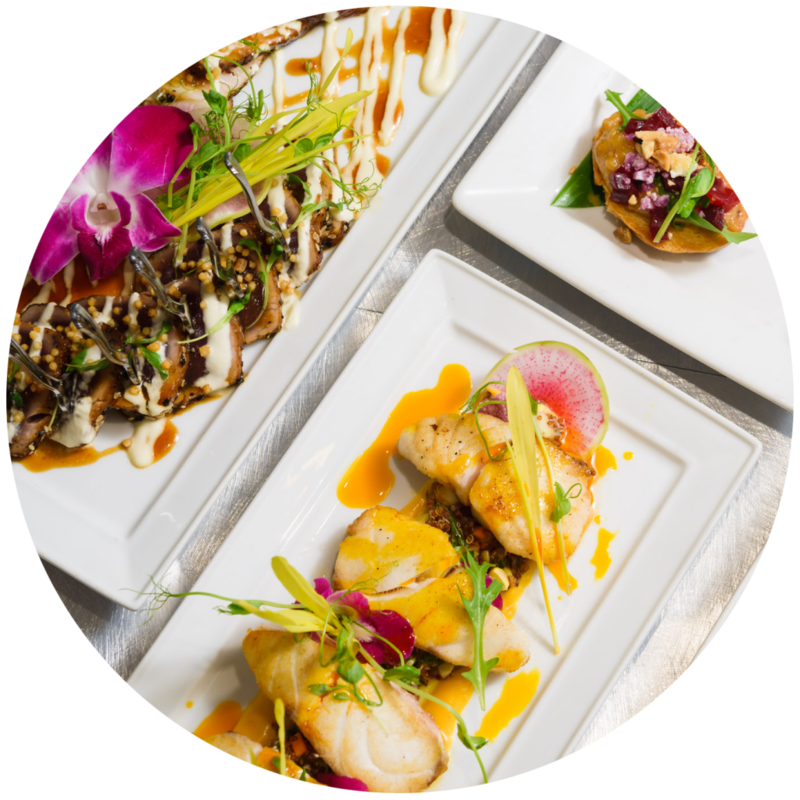 No matter the occasion, we have the perfect space, crowd-pleasing cuisine, and experienced team to make your event the party of a lifetime! Indoor & Outdoor spaces for any size party from 20-550 guests. Whether your company, group, or family is large or small, we have all the perfect venue to deck the halls in style. Imagine your moment… with us! Romantic, contemporary, intimate, extravagant – whatever your style we have the space to create the wedding of your dreams. A little one is on the way, celebrate the new addition to the family with an elegant baby shower for mom-to-be at Hilton Waikiki Beach! Celebrate this big milestone with a baby’s first luau party at Hilton Waikiki Beach. The whole family will love our menu of local favorites. Make it a night to remember by planning your high school prom night in our Grand Ballroom. Special prom packages available so you don’t even have to worry about booking a DJ! Hats off to the Class of 2019, you did it! Celebrate your accomplishments with family, friends, and one unforgettable party. Gathering in Hawaii for a Family Reunion? 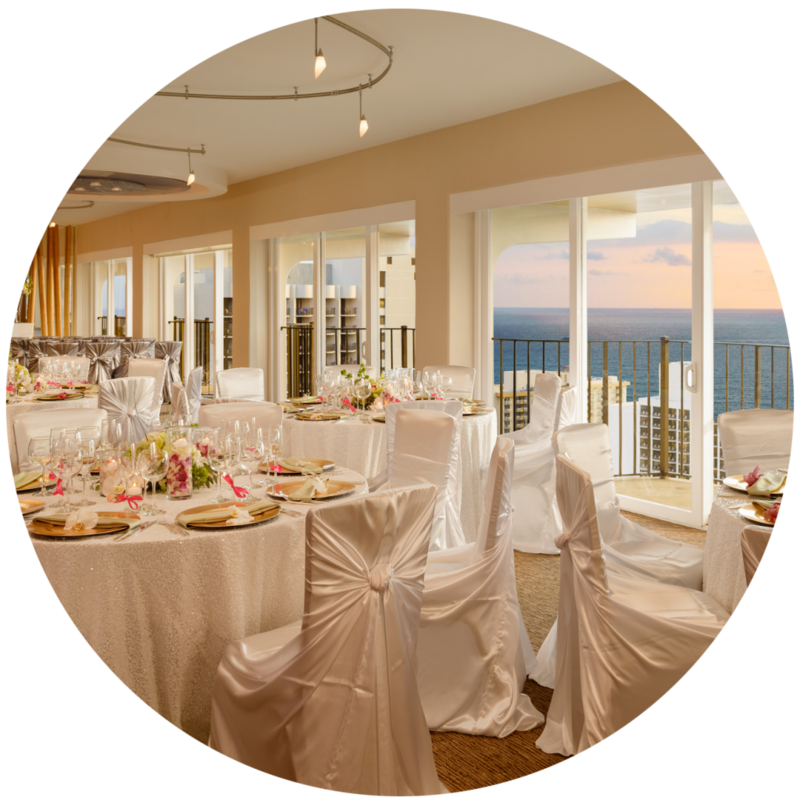 Celebrate your ʻohana coming together with a party at Hilton Waikiki Beach! Plus, room blocks available for 10+ rooms.